From Junction Lake the plan was to walk to Lake Artemis, then climb onto the Mountains of Jupiter. These are an "Abel", although they are basically a large plateau with multiple peaks. 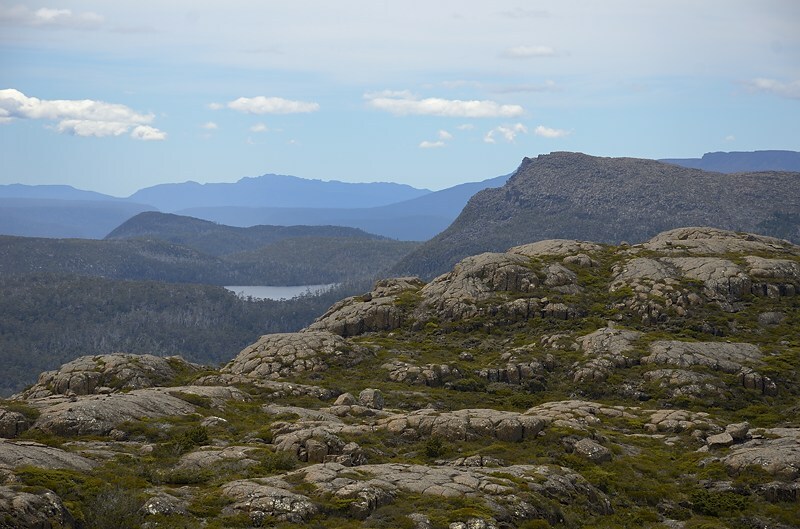 The highest point is actually less than a kilometre from Lake Artemis. The Abels, Volume One describes the walk, although its description of where to head away from Lake Artemis wasn't very specific - "From a suitable point on the shores of the lake...". 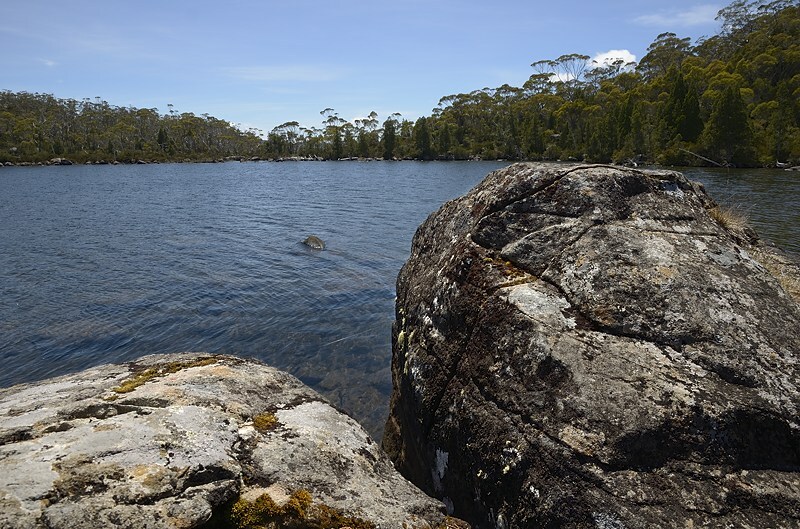 Mabel from Warrnambool, met at Junction Lake, reckoned the best spot was above where the little promontory sticks out into Lake Artemis. Lake Artemis is reached by crossing the river (this is the Mersey River, although quite small at this point) behind the hut. Predictably there's a tree fallen down along the steep line the track takes up the slope, but once you've found this it is quite easy to follow to Lake Artemis. The track is quite rough in places, but not too bad. At Lake Artemis you can easily reach the shore where the track heads out onto the aforementioned promontory, and camping would be good here. In addition, I think Mabel was right, the scrub isn't too bad above the promontory, although the lowest slopes are thickest, and you need to pick a lighter spot to head off. The Abels helpfully says to "push through the scrubby slopes", and indeed they are. 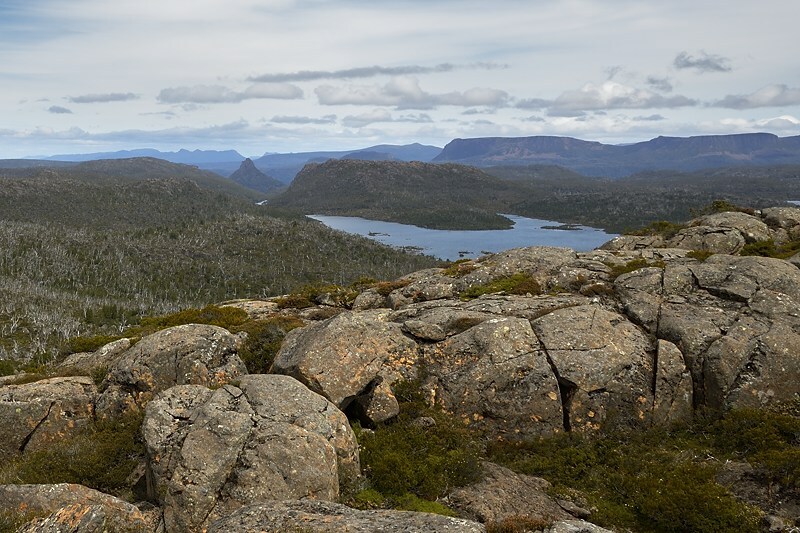 The slope is generally steep, but as you get higher some rocky outcrops enable you to avoid spending the entire climb in the scrub, although you also have to find your way around the small cliffs these present. Once on top, you need to work out which is the highest point, but it is indeed the spot height on the 1:25,000 Du Cane map. 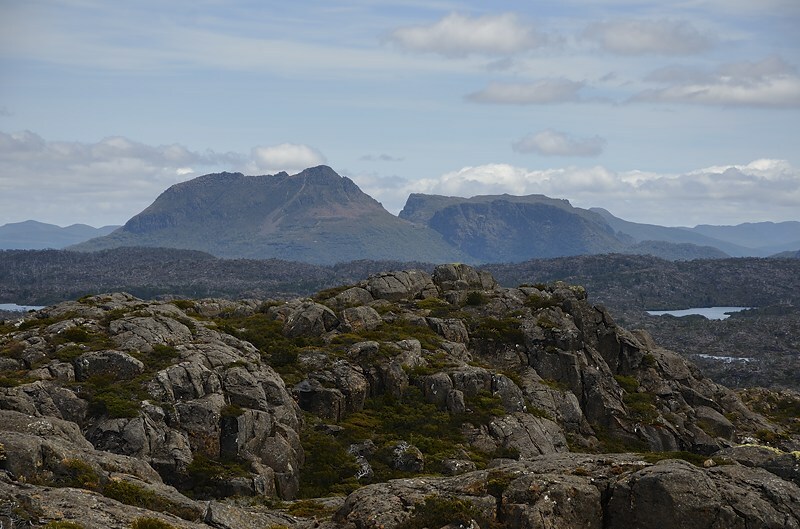 This has the height as 1326m, although The Abels records it as 1320m. With a small amount of work you can find the highest point. The views are great, and I've provided photos to show them off. 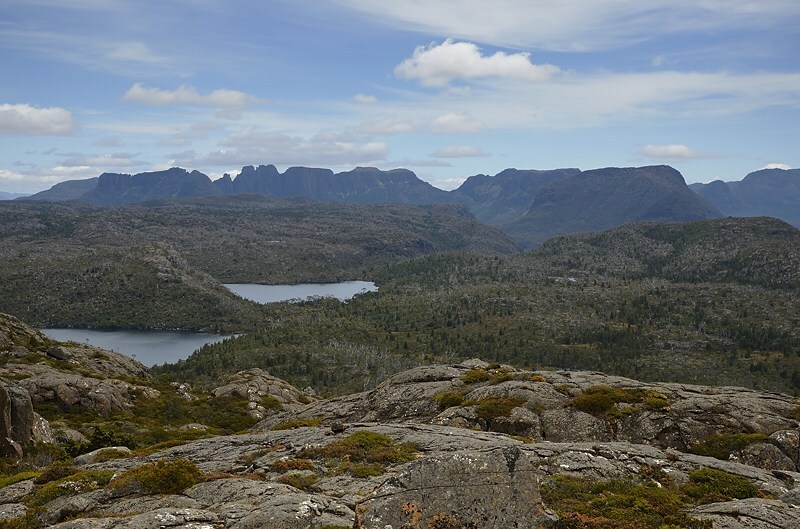 The highlights are the peaks of the southern Overland Track and Lake St Clair area. 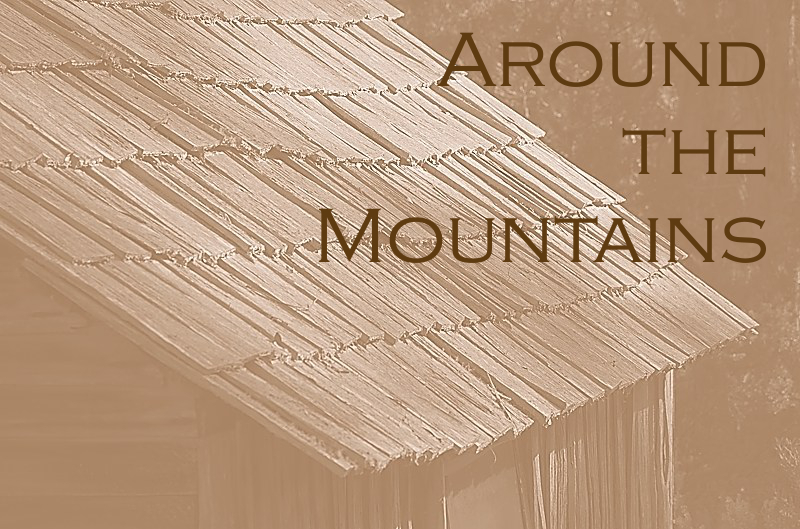 Of particular interest was the view of Mount Ida and Mount Spurling. 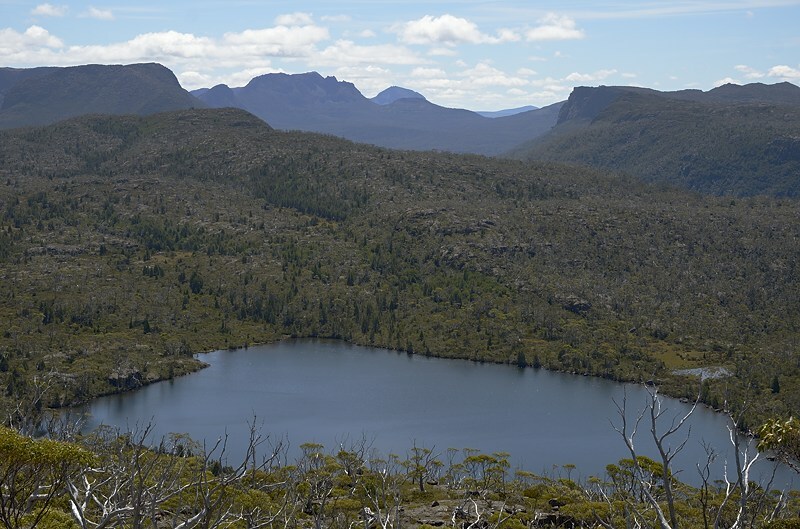 Mount Spurling and Lake Riengeena, a view not usually acquired. as seen from the Mountains of Jupiter. Mount Rogoona and Lake Myrtle from the Mountains of Jupiter. (I guess) The Guardians behind. Lake Artemis in the foreground below the Mountains of Jupiter. (Convent Hill I believe). I've got the photos for a 360-degree one as well when I find the time.